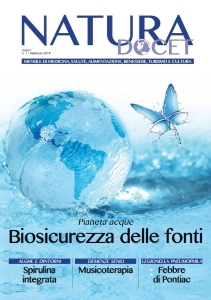 31 dicembre 2008 16 ottobre 2015 admin Carlo Biagetti, Francesco Chiodo, Livia Tampellini, Marco Borderi, Paolo D'aquino Articoli Haart Bone metabolism, HIV, Prevalence. Since the 1990s many papers have reported on bone metabolism changes even in the pre-HAART era and there has always been a suspicion that the virus was the underlying problem. After the advent of HAART the issue became more complicated because on the one hand HIV-infected patients can live longer but on the other they present the side-effects of treatment and older age. We will review the main studies on bone metabolism in the post Highly Active Antiretroviral Therapy (HAART) era, i.e. since 2003. We can conclude that the prevalence of osteopenia is increased in the HIV positive population (32%-54%); BMD changes are more pronounced in HIV-infected men than in the HIV-negative population.Osteoporosis in men preferentially affects cortical bone. Osteopenia in HIV-infected people is probably multifactorial resulting from diffferent aetiopathogenetic events.In the future we shall need many longitudinal and prospective studies to establish the correlation between BMD, HIV and HAART.